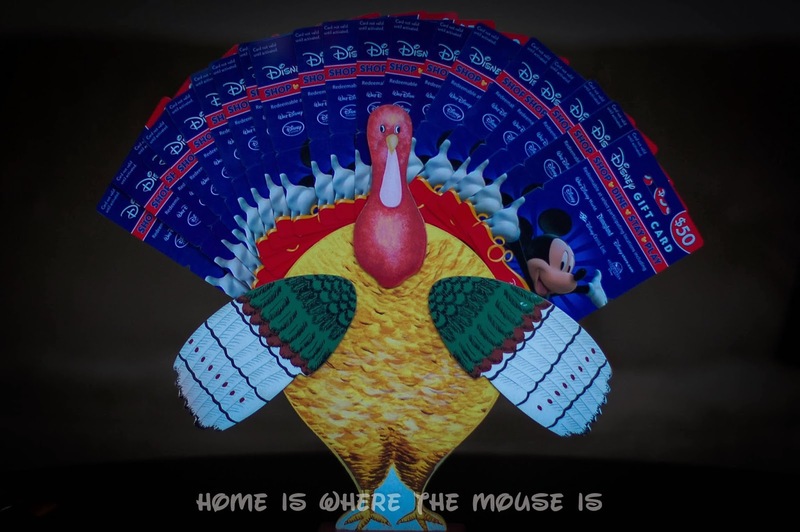 Home » Giveaways & Contests » $1,000 Disney Gift Cards Giveaway! 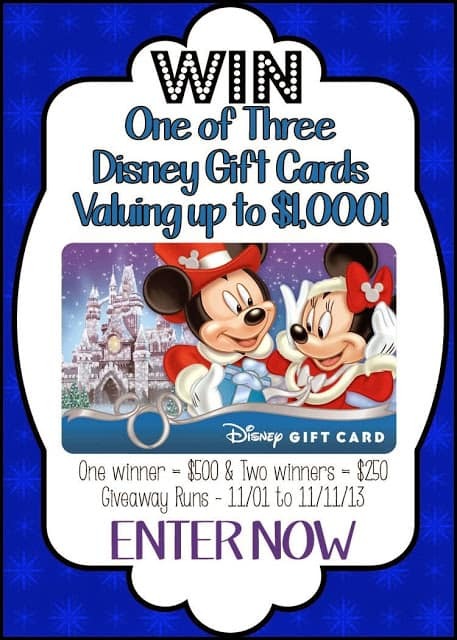 $1,000 Disney Gift Cards Giveaway! This Giveaway is now OVER! It’s Beginning to Look A Lot Like The Holiday Season! What better way to kick it off than being one of 3 Winners in our $1000 Disney Gift Card Giveaway? Enter Now! Winners will be chosen when the clock strikes midnight on Monday, November 11th! THREE LUCKY DISNEY FANS will have the chance to decide thanks to this OUTRAGEOUS GIVEAWAY by a group of FANTASTIC Disney Bloggers! We’ve teamed up with 42 TERRIFIC and VERY GENEROUS Disney Blogs to give away not one, but TWO DISNEY GIFT CARDS! One card is loaded with $500 of spending money, while the other two have $250. For example, if you already Like our Facebook Page (2 Entries), Follow us on Pinterest (2 Entries), then you’d already have 6 entries! Just scroll through the widget and click! This is very generous of all the contributors. Thank you all for keeping Disney in our lives all the time. Can't wait to go back again, my youngest is set on going for her birthday soon. Thank you, Ruth. We hope your youngest gets to go for her birthday! Good Luck! Sweet giveaway. Disney giftcards == Disney gear. Thanks, John! We're excited to be a part of it. These prizes could get you some great Disney gear! This would be fantastic for Christmas! Wouldn't it?! Think of all the Disney presents this could buy!